Hey everyone!! 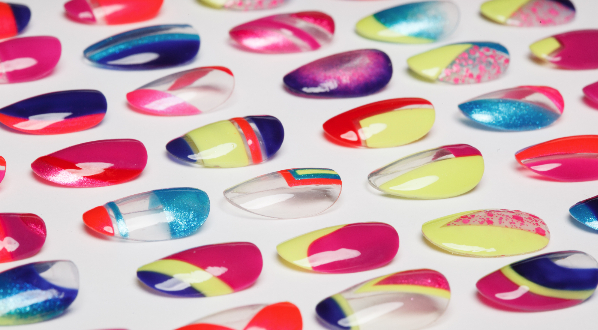 Excited to share with you these Indie beauties by I Love Nail Polish. What a class act this company is, and the creator Barbra is the sweetest. Check out her wildly popular facebook page if you haven't already. She shares swatches and nail art all the time, as well as keeping up with all the news regarding her own hand poured boutique lacquer. 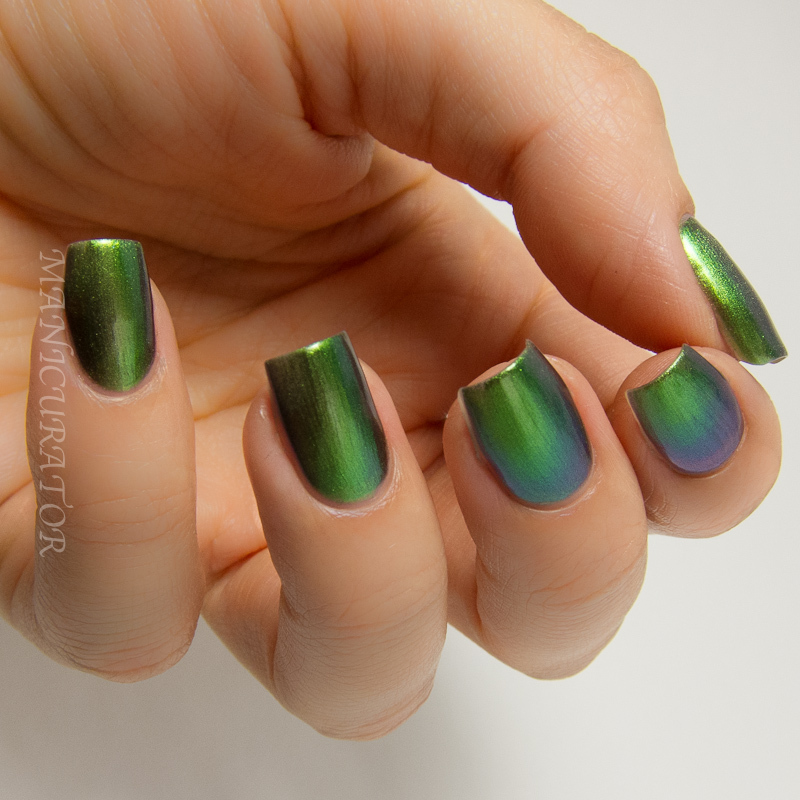 I'm showing you the newest collection Ultra Chromes at $11.50 each and AVAILABLE FOR PRE-ORDER right NOW, shop at www.ilnp.com. If you want one (or all) of these, don't wait...I'm sure they will disappear quickly! All my swatches are 3 coats and HK Girl top coat. Application and formula was the same great quality for all of them. 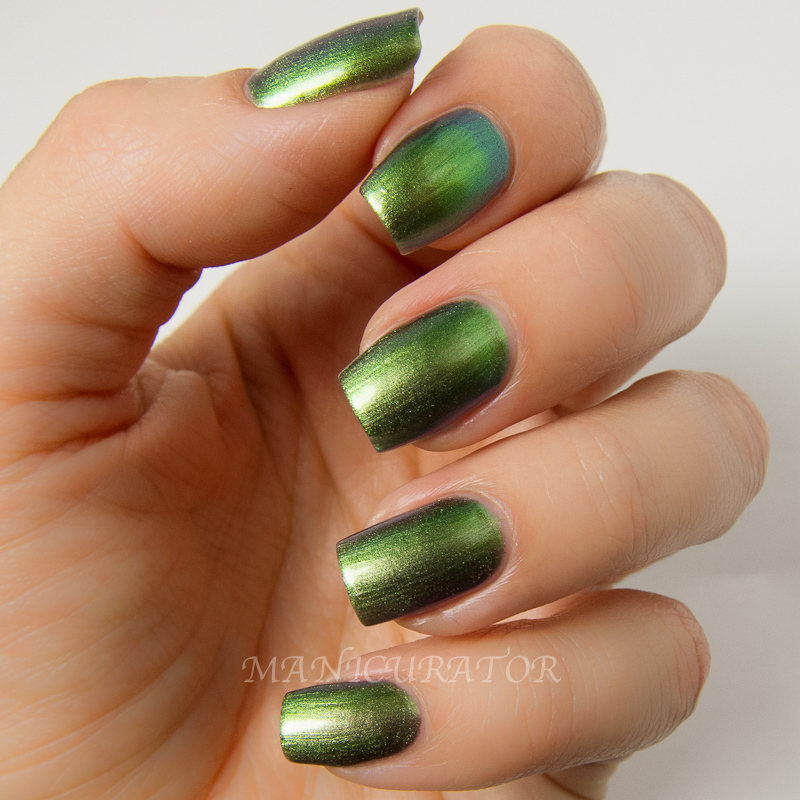 ILNP Mutagen - I'm showing you my surprise favorite first. Green is perhaps my least favorite shade to wear...so I wasn't expecting to be so in love with this one. It's truly something!! 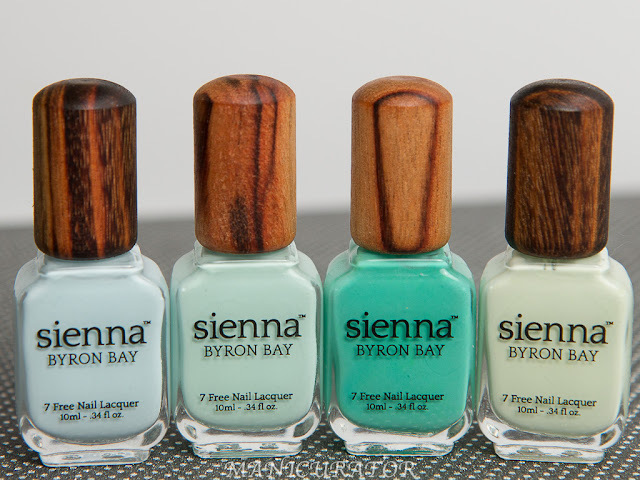 Obviously hard to capture all the color shifts that take place with these type of polishes. This one flashes red, pink, blue depending on your angle. 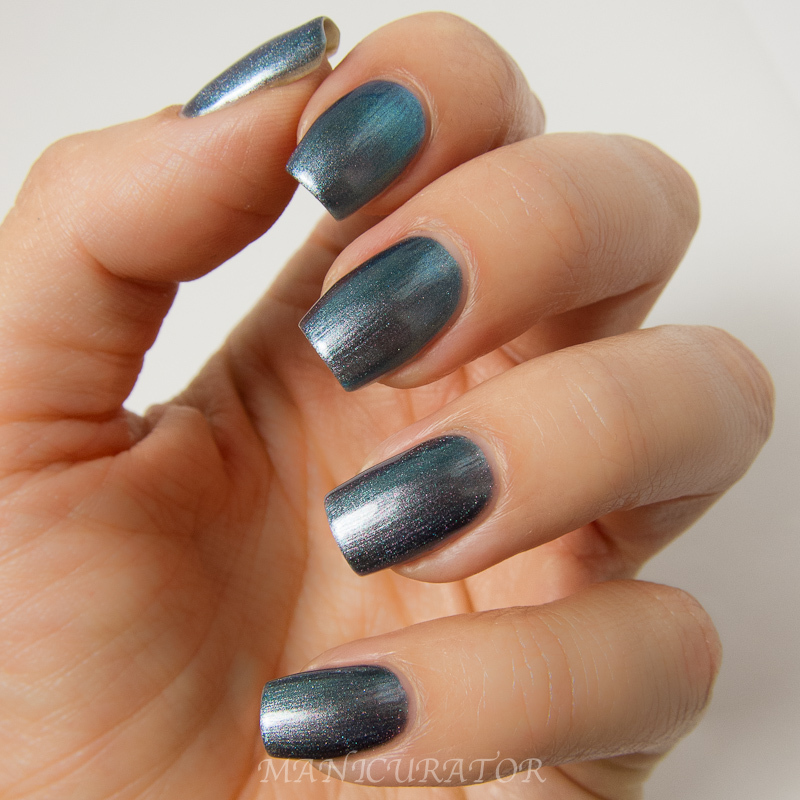 ILNP My Little Glacier - titanium blue polish that appears silver one moment, and blue the next! You can see subtle hints of purple, red, and even yellow from time to time. Stunning. 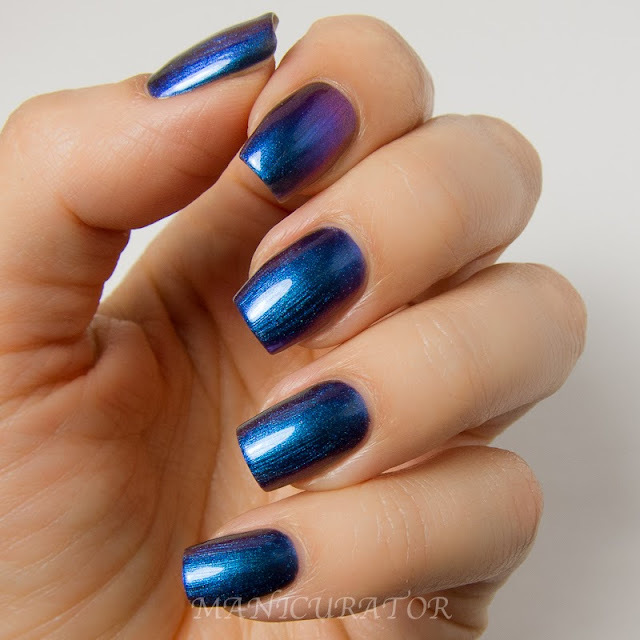 ILNP Birefringence shifts through an array of incredible blues, purples, reds, oranges, yellows, and even subtle greens! ILNP Cyngus Loop - You can find bright purple, to orange, to yellow, and even a little bit of green. Phew!! This whole collection is amazing, but like I mentioned up top...I couldn't take my eyes off Mutagen. Are you going for any of these? Remember - get in on the pre-order happening NOW if you can. wow! love'em all! 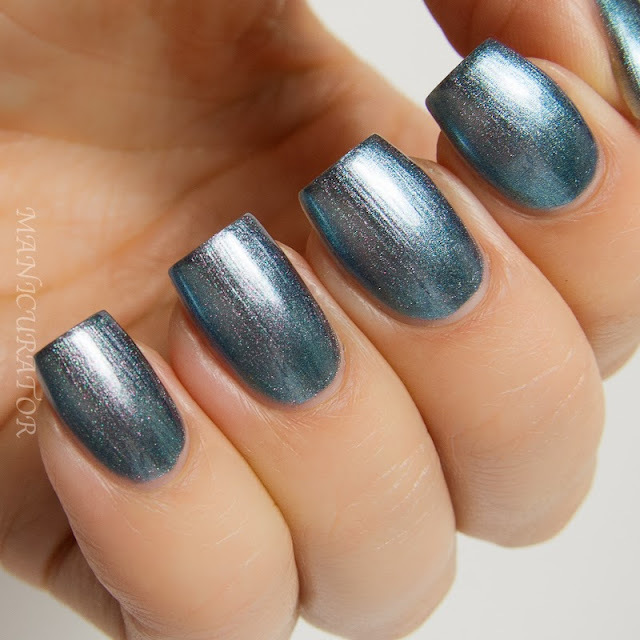 but my favourites are the green and the deep blue ones, awesome duochrome effect. BEAUTIFUL! These are really special! These are absolutely amazing! Perfect for fall. OMGAWWWD these are gorgeous! Darn it, I think I'm gonna have to get them! Could Birefringence be any more amazing!!? !